Show the power of love by sending this exquisite arrangement to that special person in your life. 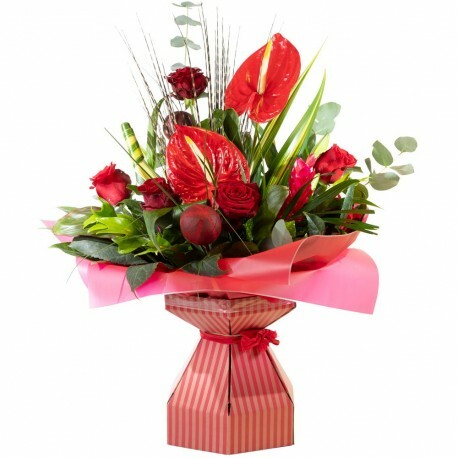 Infused with red roses, tropical flowers and foliage. Wrapped & presented in water.